After collecting my free box of Krispy Kreme last week, rif took me to Fun Kee (located along the Sungai Besi highway, next to a car showroom) for dinner. 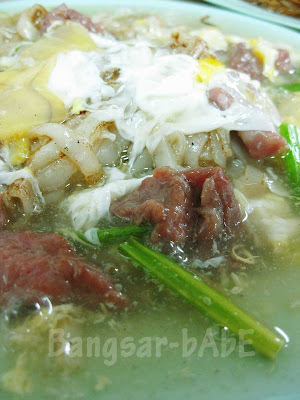 I’ve been patronizing this place for a few years, and love their Wat Tan Ngau Yoke Hor (Cantonese Fried Beef Kuay Teow). This place has been around for a long time. 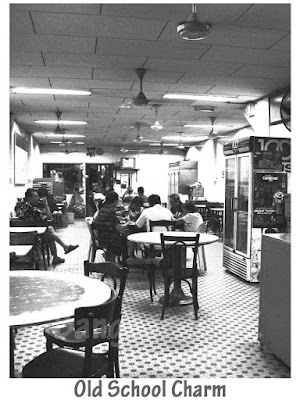 Mum used to come here when she was working in KL and rif often ate here when he was a young boy. I don’t get why my parents never took me here to eat. o_0 The place is very old school with old marble tables, seasoned chairs and high ceilings. 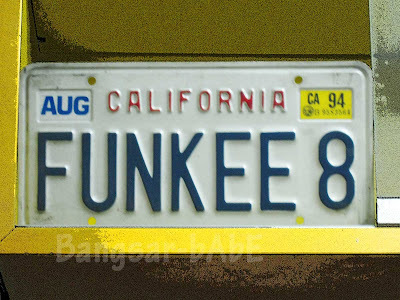 On one of the shelves at the front counter, there is a car plate with Fun Kee on it! We ordered a plate of Cantonese Fried Beef Kuay Teow, Pork Rib Wantan mee and 2 pieces of sui kows (dumplings) each. 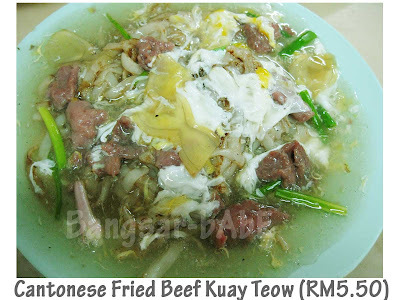 No prize guessing who ordered the Cantonese Fried Beef Kuay Teow. 😉 The sui kows were generously filled with prawns, black fungus, water chestnuts, carrots and chopped coriander. Very plump and crunchy! 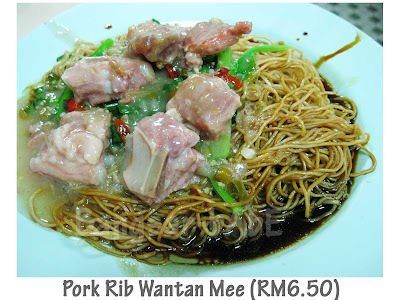 I couldn’t resist trying some of rif’s pork rib wantan mee. The noodles were springy, firm and had a nice bite to them. I liked that there was no lye (kan sui) smell or taste either. 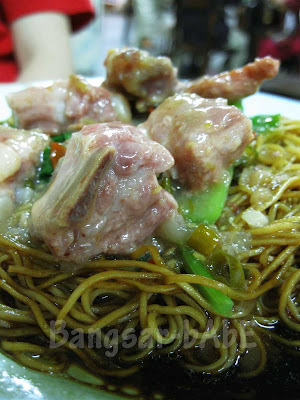 But it was the pork ribs that made the wantan mee really good. Tender, juicy and falling off the bone, the ribs were superb. They tasted very homecooked, like the ones my grandmother would make – only better. The Cantonese Fried Beef Kuay Teow was full of “wok hei” and is one of the best versions I’ve had so far. It was as if the noodles were smoked/BBQ-ed before going into the wok! Brimming with thick gravy, I enjoyed this immensely. On top of that, the beef slices were flavourful and melt-in-the-mouth tender. Halfway through our meal, we added another order of fried rice with an extra fried egg. Told you we are greedy! < You know how a skillful chef works his magic when using a wok? 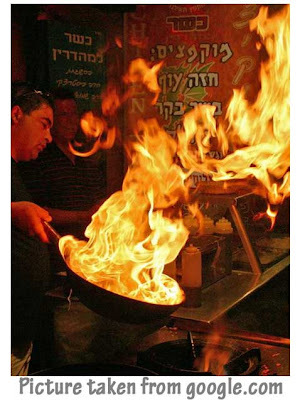 And for brief moments, the food catches direct fire (like the picture above)? That was exactly how the fried rice tasted – brimming with wok hei. 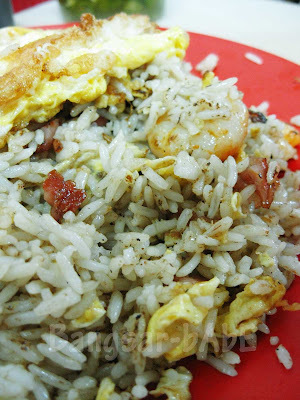 Together with bursty prawns and char siew bits, the fluffy, well-seperated rice was delicious. 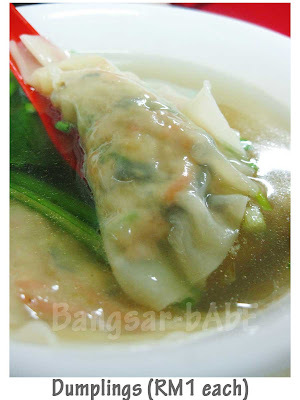 If I wasn’t so in love with the kuay teow, I’d definitely order this. I reckon they used lard oil, as the rice was very fragrant. The fried egg was not necessary, but it was damn good! 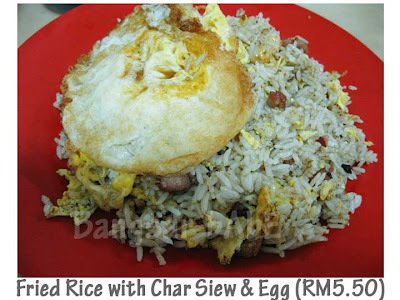 For a mere RM24.50 inclusive of two herbal teas, dinner was fantastic. The old school charm was the perfect ambiance for such hearty, good food. Verdict: Good, homely food at very reasonable prices. 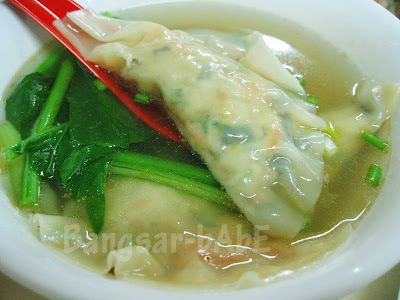 wuhuhu Sue, i feel so hungry in the middle of the nite after reading ur post! too bad my boyfie din bring me to this place during my 2 weeks stay in kl recently! Looks good, love food with wok hei though too much is not good for health. Sungai Besi is accessible to me, good, will check it out next time! read abt this on Ciki's blog..been meanin to go for quite sometime..looks like its got to be soon! tak tahan..i wan tht fried rice & pork ribs! Gahhh!! Smoked/BBQ’d noodles before going into the wok?? How can that be wrong?? And fried rice done the way it should be… I think I’m in love! classic place..didnt knw they r opened for dinner..used to go here for lunch when i was small..their beef noodles n the big prawn (sang har) noodles r damn good! Cumi & Ciki – I didn't know that, but he's really nice. The car plate was too high up for me to take photo. He actually opened the shelve so I could take a better picture. 550ml – It felt “smoked” but I dunno if they actually did that lar! =P The fried rice was darn good…I’m also in love! Sugar Bean – Once in a while can ma…it’s good for the tummy and the tastebuds! Wow, new place for me to try … thanks dear !!!! 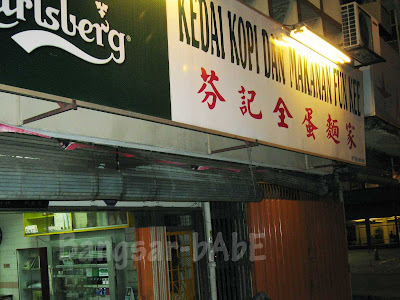 Agree…..the place in Sg Besi is especially good after a night out drinking. 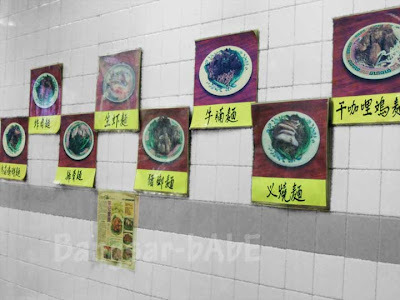 I like the 云吞麵 and 水饺. jim – I think it closes quite early wor…by then, you’ll have to go to the other wantan mee shop to sober up! Is this near that all-night wantan mee shack? Or across the road? Those pork ribs look to-die-for, lol! ahhh i miss this place.food of yesteryear! KBCG – It truly is!